By Jennifer Burcke on August 31, 2012 Visit Jennifer's Website. 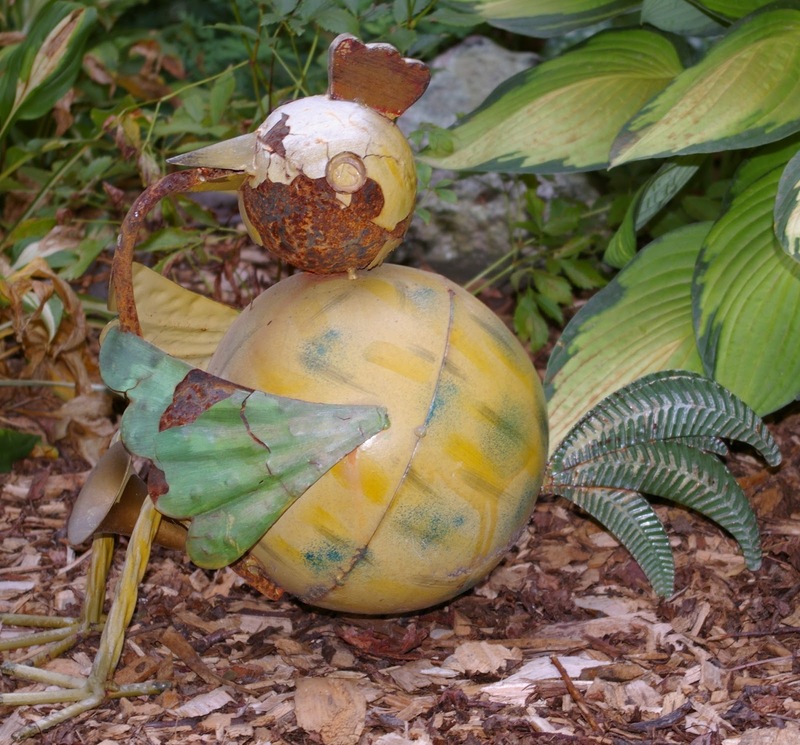 by Jennifer BurckeChickens have been decorating the landscape at 1840 Farm since our first chicks arrived in 2010. I always believed that chickens were beautiful. Becoming a chicken keeper has only served to deepen that feeling. I now find myself surrounded by chickens. My friends and family all know how proud I am to be a chicken keeper, so gifts tend to be of the chicken themed variety. Suddenly, there are literal chickens in the barnyard and backyard along with decorative chickens in the gardens and farmhouse. 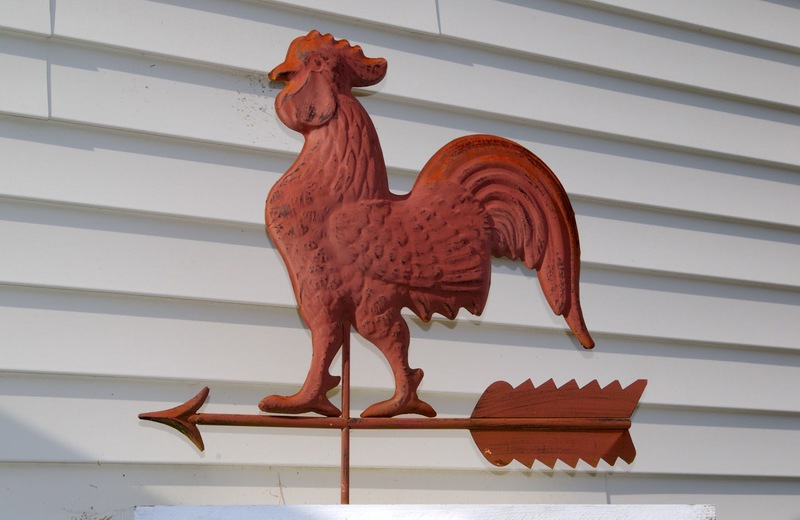 I hadn’t realized just how many chickens we have both real and decorative in and around 1840 Farm until I began photographing them to share in this post. Suddenly, there seemed to be chickens everywhere I looked. First, there are the actual chicken coops. It was only two short years ago that we were finishing the main coop. Before then, the space had been the garden bed for our heirloom black beauty eggplants. 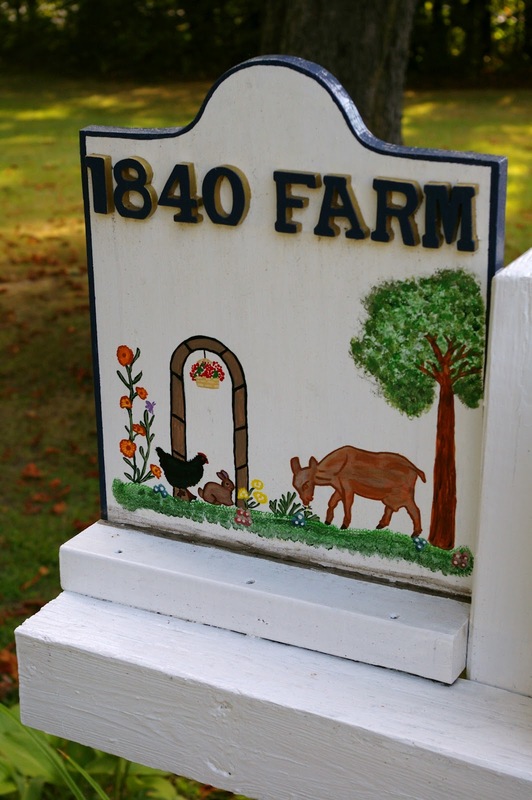 Now the main coop proudly greets visitors to 1840 Farm and is one of our most easily distinguishable features. This year, we added a garden coop to the backyard. 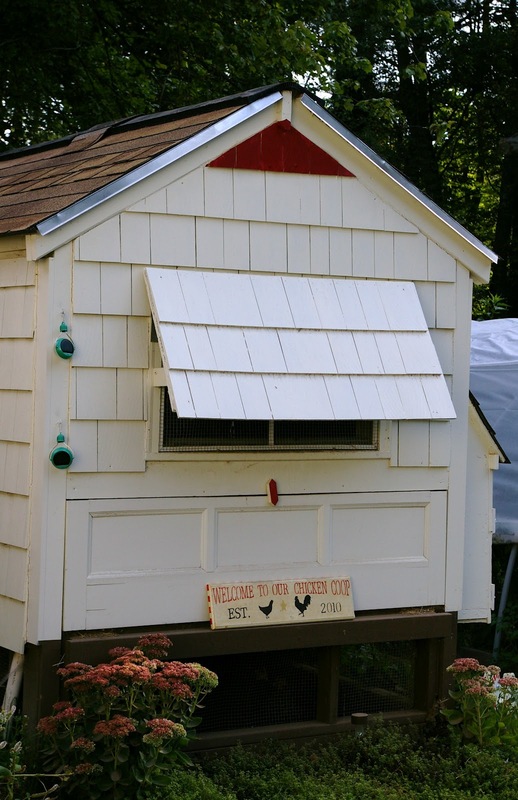 The garden coop houses the five bantam hens that arrived this spring. Both coops have a painted rooster standing guard outside their doors. We don’t keep roosters in our coop, but we’ve made sure to have a few on display outside the two coops. We also have quite a collection of chickens hiding nestled in our perennial gardens. 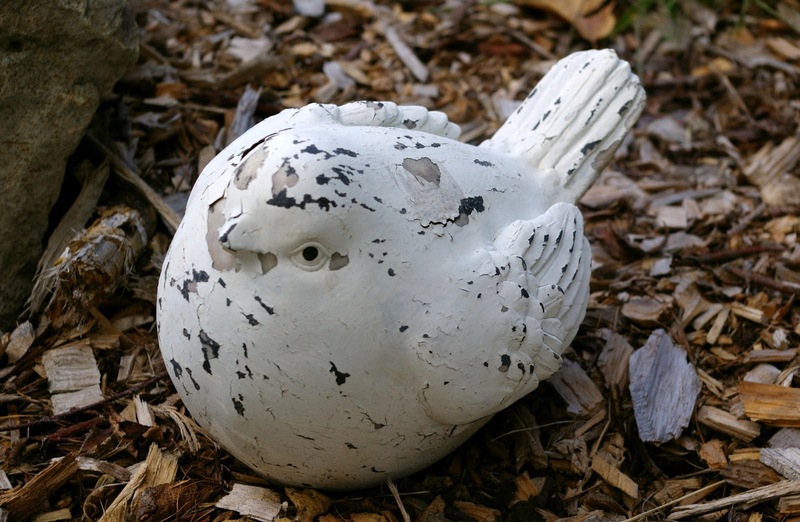 There’s a stone chick resting near the front porch, a rusty tin rooster playing the saxophone in the hosta garden, and a rooster weathervane perched in front of the farmhouse. 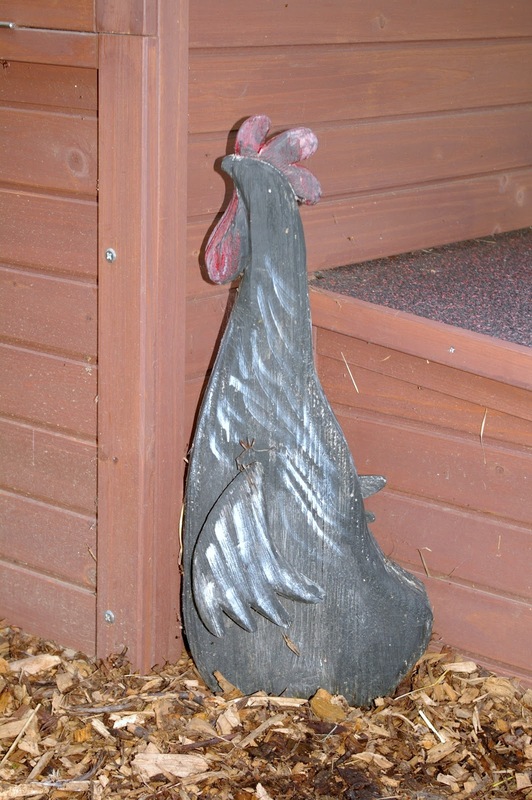 Our beloved Australorp Hedwig even helps to greet visitors to 1840 Farm. She does share billing with our Nigerian Dwarf Goat Violet and French Angora Rabbit Herbert, but I don’t think she would mind. If she decides to keep score in the farmyard, she’ll notice that the number of chicken related pieces far exceeds those that display goats or rabbits. It’s easy to see that I am proud to be a chicken keeper. 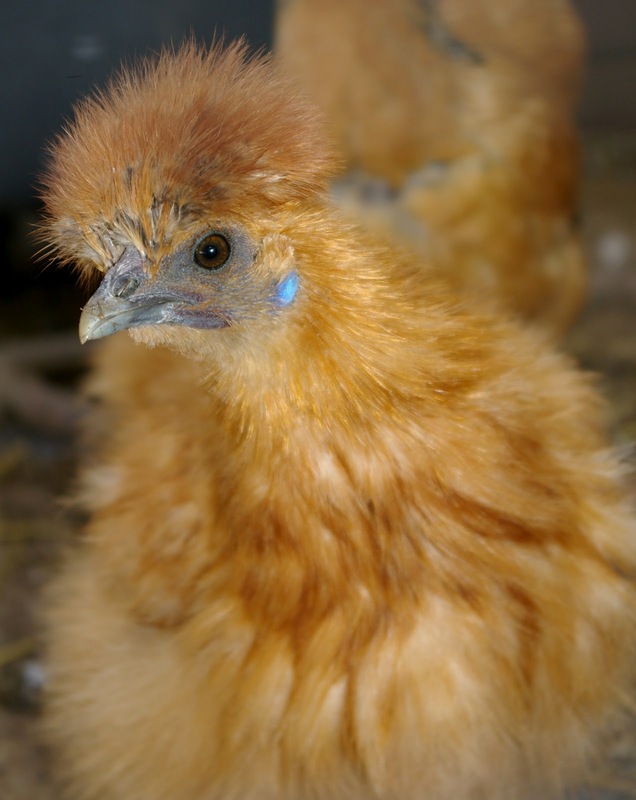 Not only do our heritage breed chickens play a part in our everyday lives, they bring color and beauty to our farm. I hadn’t realized that they also provide so much decoration for our farm’s landscape. It looks like I need to incorporate a few goat and rabbit items into the gardens before Violet and Herbert notice that they’re so far behind the chickens! 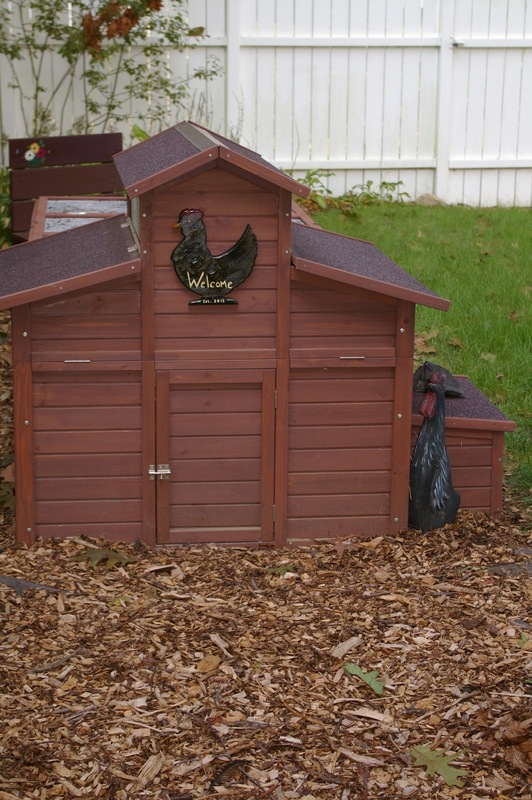 Have you added chicken decor to your farm or yard since becoming a chicken keeper? In an upcoming post, I’ll be sharing the collection of chicken related items that decorate the inside of the farmhouse at 1840 Farm. You’re always welcome at 1840 Farm. To make sure that you don’t miss any of the excitement, giveaways or unending supply of cute photos during the A Year in the Life at 1840 Farm Series, follow us on Facebook to read the daily news from the coop at 1840 Farm.